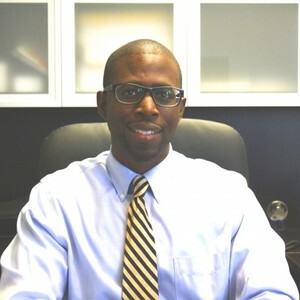 Damon M Harris has been in the financial services industry since 2002. Damon has earned his Chartered Retirement Planning Counselor? professional designation and for more than a decade has been providing financial advice to his clients. In 2014, RivCo Wealth Management was established, Damon and his business partners saw that the community was in need of a small community based financial services firm that put the needs of the client first. Damon’s core professional foundation of helping people was established while providing financial advice at a local community based credit union for 12 years. Damon brings a wealth of experience and knowledge as a Financial Planner to the community as he listens to his client’s needs and creates individualized comprehensive financial plans designed to address each unique goal. Damon truly values the trust and confidence his clients have in him, as they work together to pursue their financial goals. Damon understands that everyone is in different stages of life: you could be starting your first job, switching jobs, retiring from your job, starting a business, having a child, purchasing your first home etc. All of these events are very important and the reason why Damon has designed a client focused approach to ensure that recommendations are aligned with your specific needs. Damon specializes in retirement planning, college planning, estate planning and developing customized financial strategies for each of his clients that address their needs, risk tolerance, time horizon and financial goals. Damon works closely with clients Pre and Post retirement on asset allocation and financial management. Develop, Implement & Manage - Damon conducts regular meetings with his clients to review performance, reconfirm financial goals and make adjustments as economic or lifestyle conditions warrant. Damon’s passion and commitment to helping people is the driving force that pushes him to excel for each one of his client’s. Damon strides with each client and their family one step at a time towards their financial goals. Damon holds himself accountable to the highest standards, while staying true to his values of honesty & integrity to ensure strong long lasting client relationships. Damon holds his Series 7 and Series 66 Securities registrations with Securities America, Inc. and Securities America Advisor, Inc. and has earned his CRPC® designation. In addition, Damon is licensed with the state of California to offer life & health Insurance CA #0E00627. Damon currently resides in Sunnymead Ranch with his wife and 4 kids. Damon and his wife are both very involved in their kid’s school and community, while also staying actively involved in coaching baseball, basketball, softball and soccer for their kids.